Tis the season for getting our hair out of our face and off the neck, and the beach is the first place we think of when it comes to where we want to spend a bulk of our time this summer. We’re totally ready for beach trips, but what are we going to do with our hair in the hot, humid weather at the beach? We’ve found 15 styles that are perfect for a day in the sand, whether your hair is short, long or somewhere in between. Why have one bun, when you can have two? This “aha” style proves you don’t have to be complicated to think outside the box. It’s a great look for the beach, and because it’s messy, it doesn’t matter if you don’t get it perfectly right. For a little something extra (especially with post destination wedding hair), this is a great way to amp up the classic ponytail. 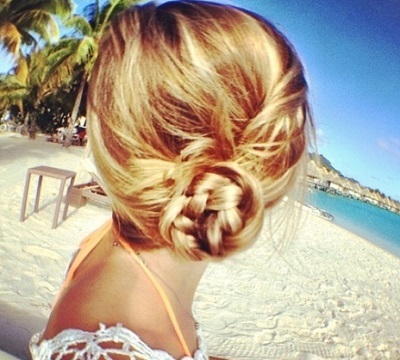 This side-swept braid within a braid is ultra-feminine and perfect for a hot day at the beach. 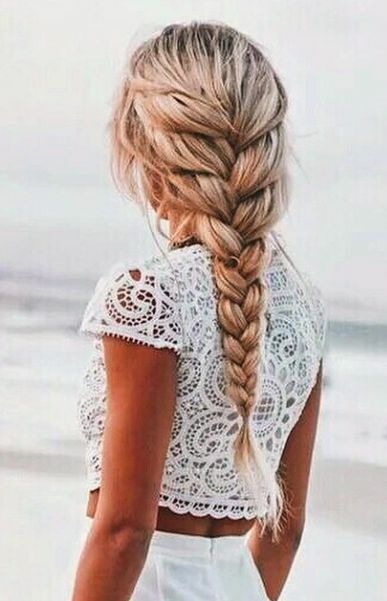 Whether you prefer them styled tight or loose, braids are the perfect look for the beach. 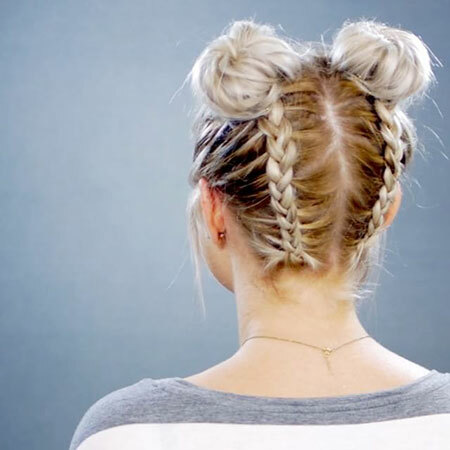 Not only do braids keep wet hair out of your face during the day, but they’re also fun to wear for a night out. Great for adding volume to shorter hair, simply section your hair into four French braids, then gather together in one large pony. For the perfect pop of color and some Cinderella chic, styled with a summer scarf. Protect your strands from harsh UV rays by wrapping it up in a light scarf. Not only is it beneficial for maintaining your expensive dye job, but it also looks good. 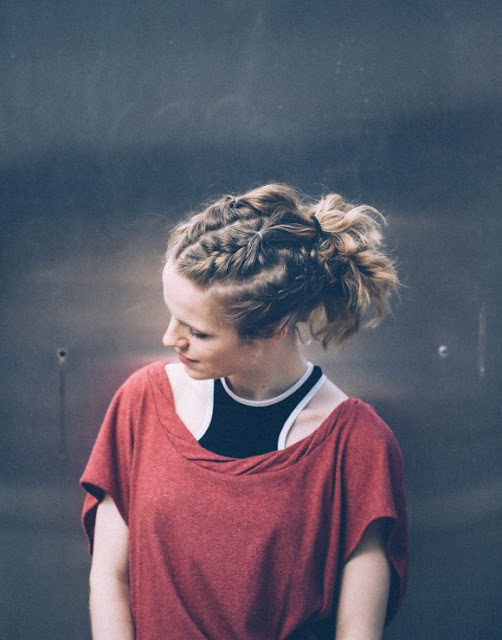 A side braid that wraps around a low bun with an unfinished end is part messy, part styled, all parts awesome. Flowers optional, but suggested.